I always relate to my cycling experiences like model rail road hobbyist, everything is a prototype. I am forever testing equipment, or methods in my cycling. that is what keeps my brain intrigued with cycling. Selecting the right tire for my bike is the focus that i am currently engaged in. My new bike came with Vittoria Corsa CX tires. I put 2,146.37 miles on these tires and they are shot. I had two flats last week in one day. I love these tires for the smooth comfortable ride, but I knew that they would not last long. I have a set of Continental Gator Skins on order and they will arrive on Tuesday. 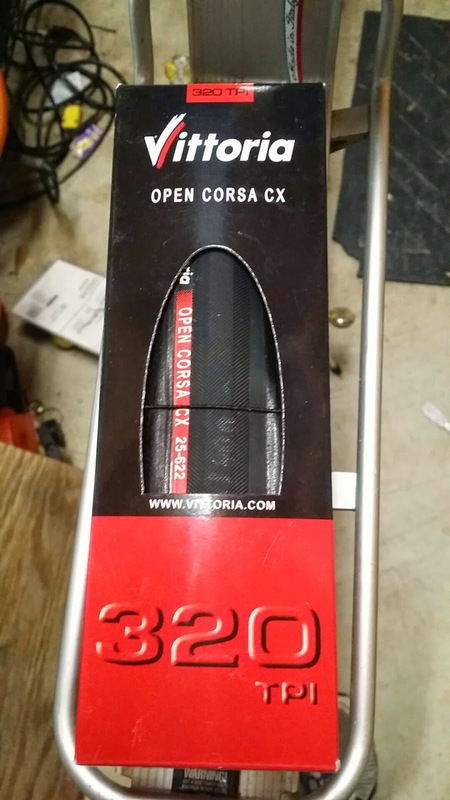 I am going to install a new set of Vittoria Corsa CX tires today so that I can ride this week. 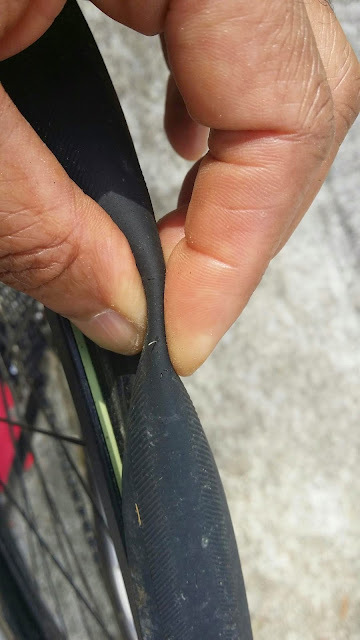 In the past I use to change my commuter tires for racing tires when I was planning a long ride on clean roads. I may start doing this now. I am also seriously considering trying out some 28 MM Schwalbe Marathon Supreme HS 382 HD SpeedGuard Cross/Hybrid tires. I have never used Schwalbe tires, but several members of the Bicycle Commuter Cabal have suggested that I try them. So my goal is to figure out what tires works best for the type of cycling that I am doing right now. When I am on country roads which are fairly clean and free from glass and thorns the Vittoria tires may be the best choice for a long ride. In and around the city where I see lots of broken glass and debris on the road a tougher tire may work best. Only my testing of several tires on the road conditions that I ride on will determine what works best. So this blog post is to document my tire mileage on my first set of Vittoria’s, 2, 146.37 miles. Update: I only replaced the rear tire. I usually rotate my tires, but I did not do this for this set. I am keeping the front tire on the bike because it is not worn out.